Talk about your meteoric rises. Right now, Unknown Mortal Orchestra bassist Jake Portrait is hanging out in Donald Trump’s green room at Late Night With Jimmy Fallon. Just a couple of years ago, the Portland, Ore.-based musician was part of a hastily assembled band based around Ruban Nielson’s buzzy songs. Now, he’s eating from The Donald’s deli tray. As we speak. Rock & roll dreams do come true, kids. Except the way Unknown Mortal Orchestra came about doesn’t exactly fit the model. It’s certainly surreal, the way Nielson quit his band (The Mint Chicks), moved from New Zealand to Portland to be with his family, and secretly made music that eventually stole bloggers’ and critics’ hearts. But there’s not so much of the yearn-struggle-scrape. 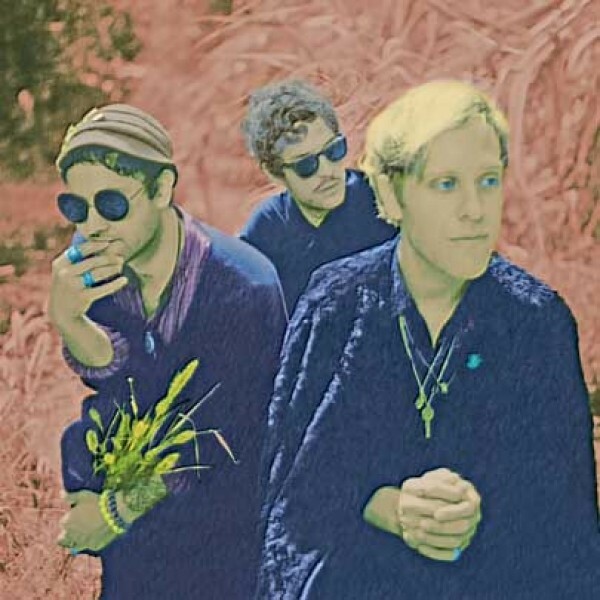 Which makes Unknown Mortal Orchestra’s story so much cooler than your typical success stories. After Nielson’s friends found out about his new music and circulated the link, things mushroomed. Pitchfork and the rest of the tastemaker music mags came courting. Unknown Mortal Orchestra was snatched up by Fat Possum Records, champions of backwoods bluesmen (T-Model Ford, R.L. Burnside, Junior Kimbrough) and original benefactors of bands like The Black Keys, Heartless Bastards and the Smith Westerns. And their self-titled 2011 debut blew right up. And here he is, sneaking into Donald Trump’s Fallon green room like a boss. You see, Unknown Mortal Orchestra played the show the previous night. Today, Portrait is just hanging around to see his friend Tyler the Creator’s performance. At the moment, he is indeed an uninvited guest in Trump’s temp digs. Portrait simply needed a place to plug in his phone so he could take this call. So, while it’s not like he’s palling around with The Donald, it’s still gutsy, it’s still rock & roll. Right down to the backstage pranks. You may already have seen the proof of this one floating around the ’Net. It’s good to take opportunities to blow off steam. Especially when you’re suddenly rock stars, you’ve played 400 shows over two years, you’ve switched labels and you’re on your fourth drummer in that time frame. It helps keep things in perspective. Don’t worry. Everything turned out fine. Tuesday, March 19, 9 p.m.